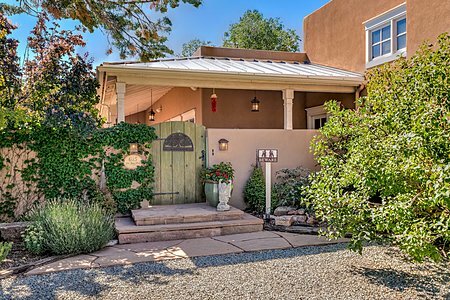 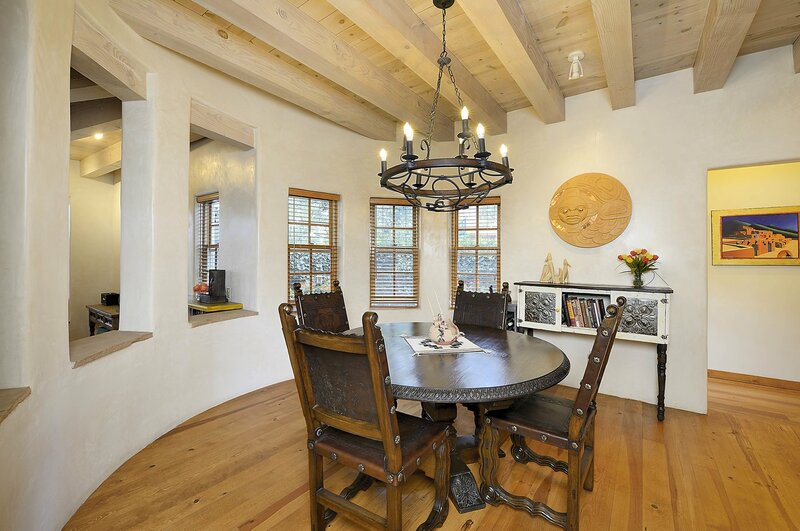 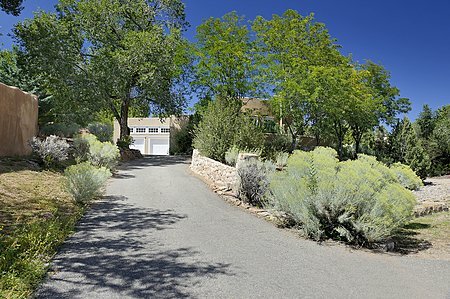 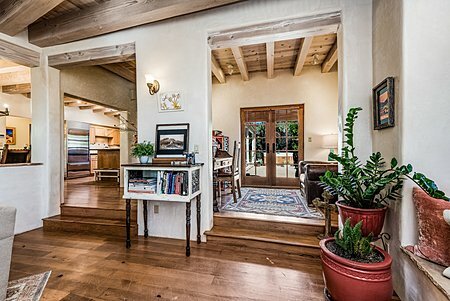 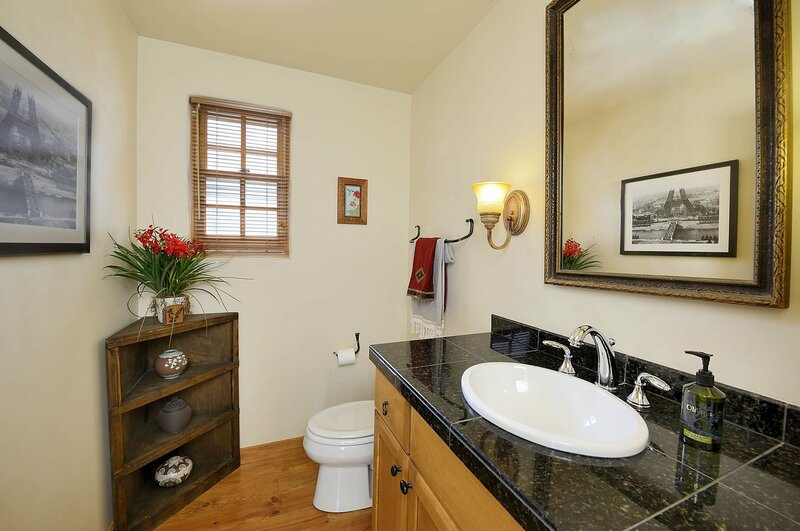 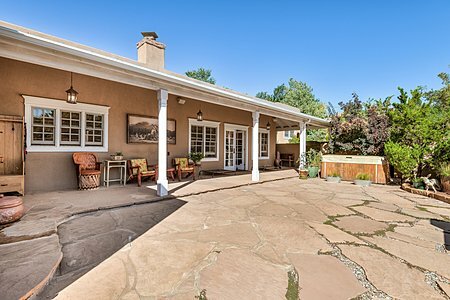 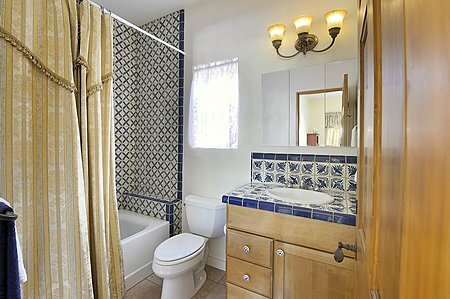 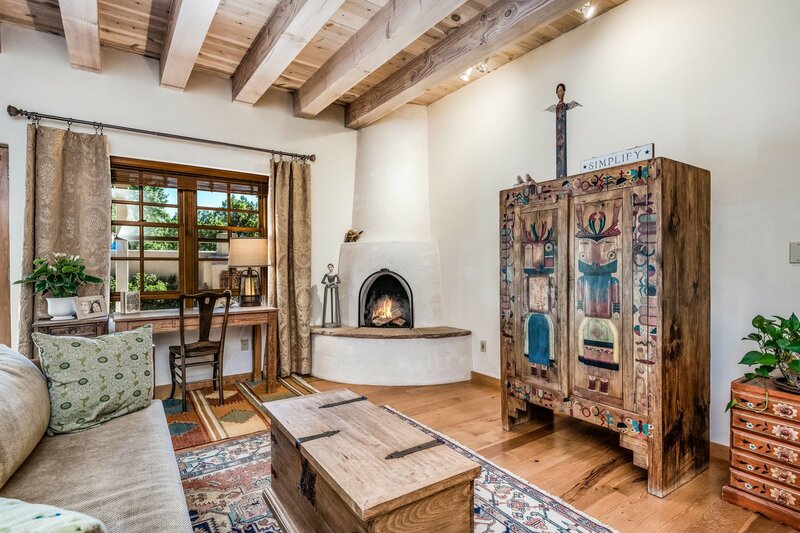 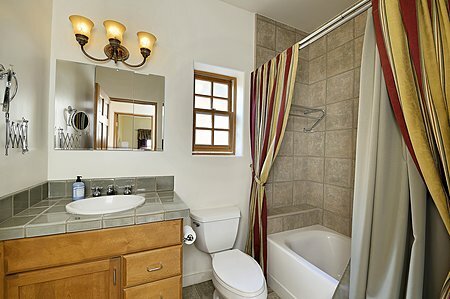 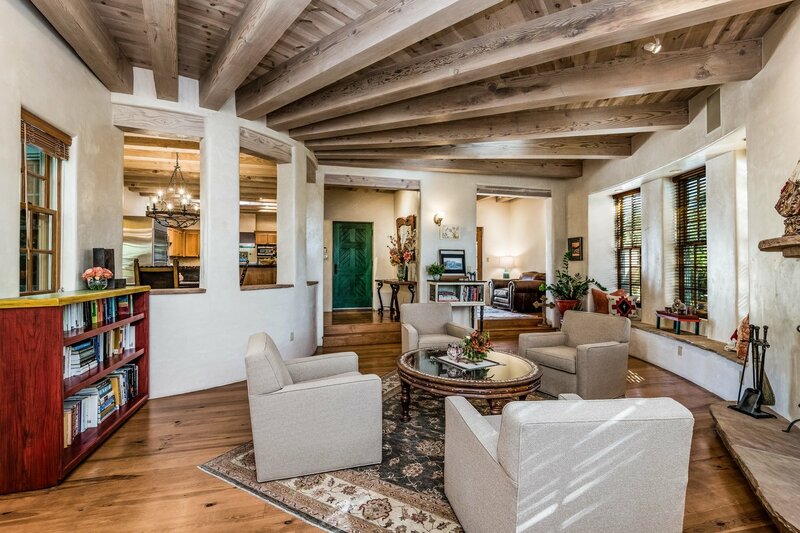 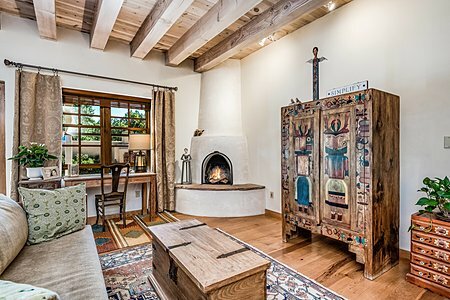 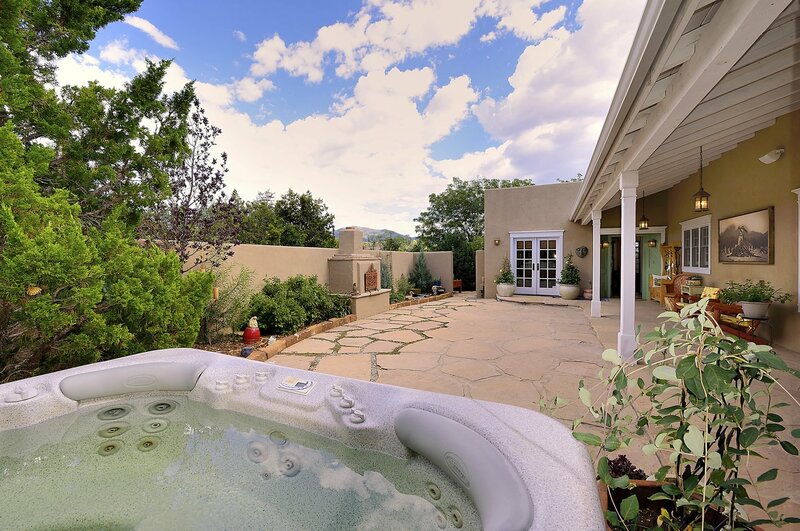 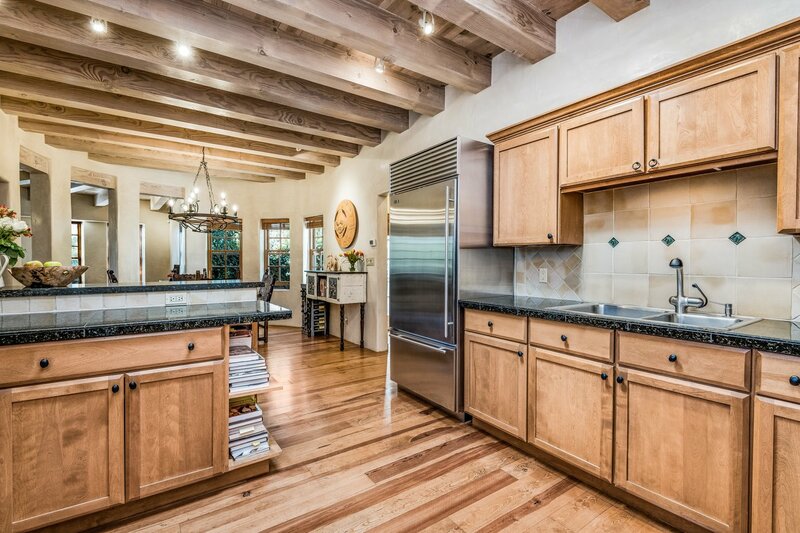 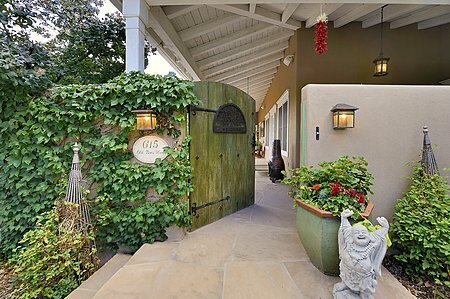 Enjoy Santa Fe living in this comfortable, unique pueblo-mission style home. With a premier park at your doorstep, the excitement of the City Different can be experienced as the property is close to the Plaza, many restaurants, museums, and much more! 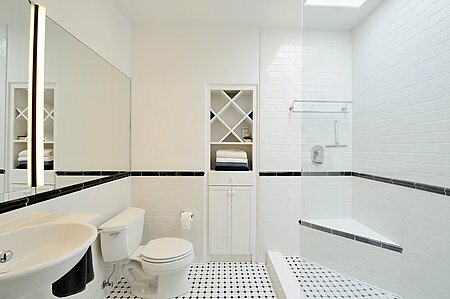 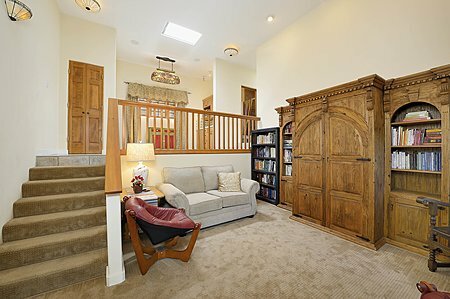 Have the best of both worlds in this accessible, yet private house. 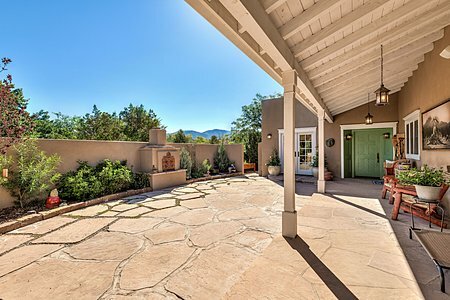 Enjoy mountain views from the sanctuary of an enclosed patio area. 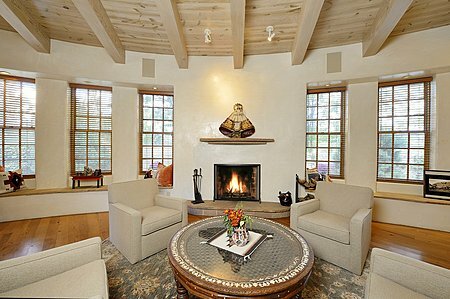 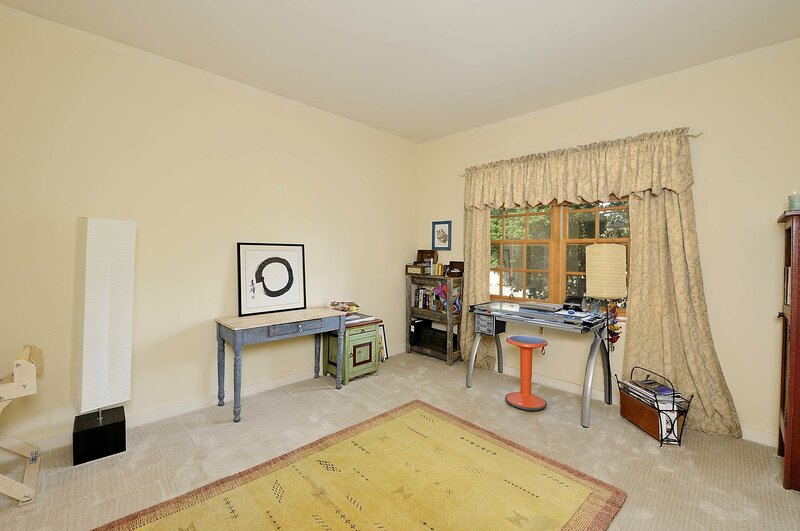 Inside, plenty of natural light filters through into the rooms, evoking a sense of grace and peace. 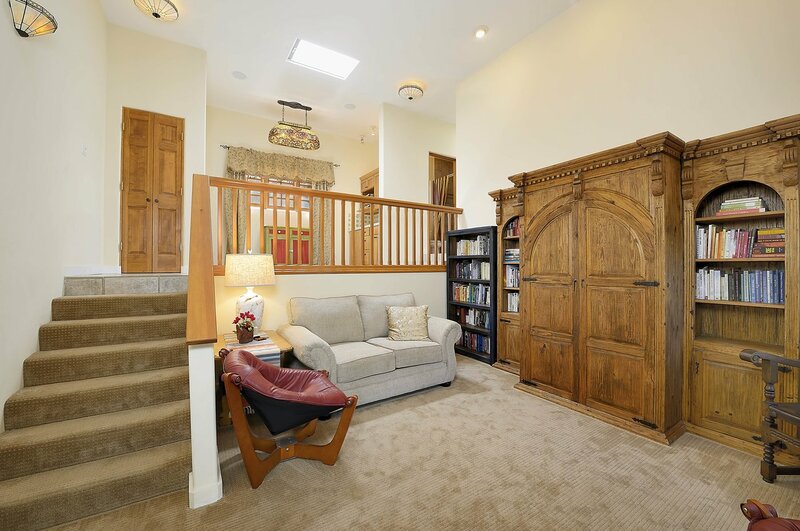 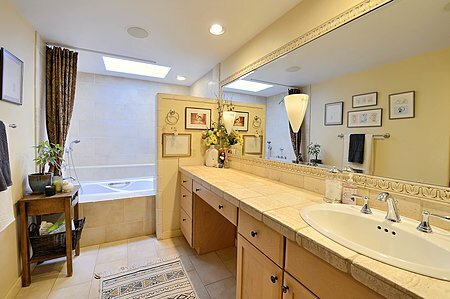 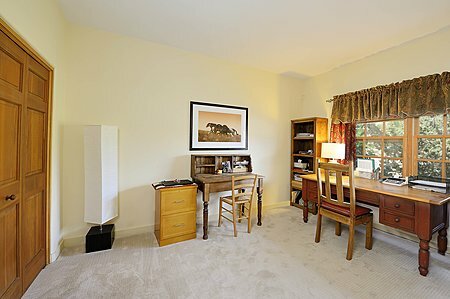 This 3-br/4.5 ba home offers spacious living areas. 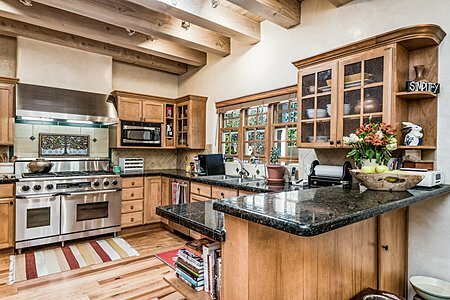 Enjoy cooking and entertaining in the cook's kitchen and dining area, with a gourmet range, Subzero refrigerator, and granite counter tops. 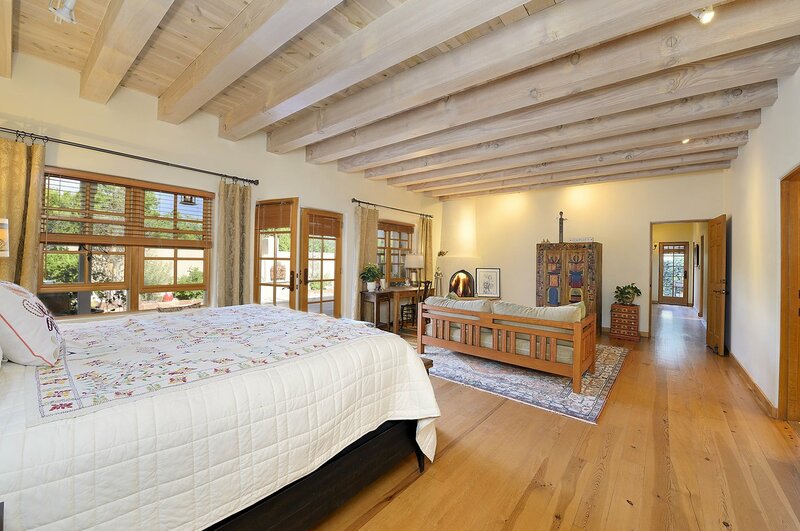 Relax in your master bedroom retreat with a seating area, kiva fireplace and French doors leading out onto the patio. 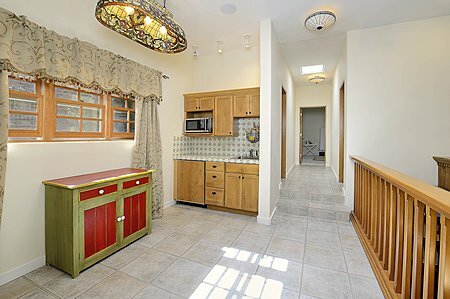 Separate wing of the house presents a guest/in-law area with an efficiency kitchen allows for guests to be independent and have their own privacy. 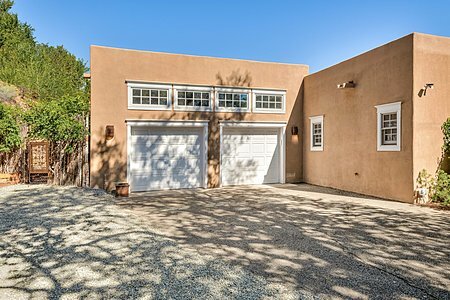 A 2-car garage and 6-off street parking spaces completes this unique home.